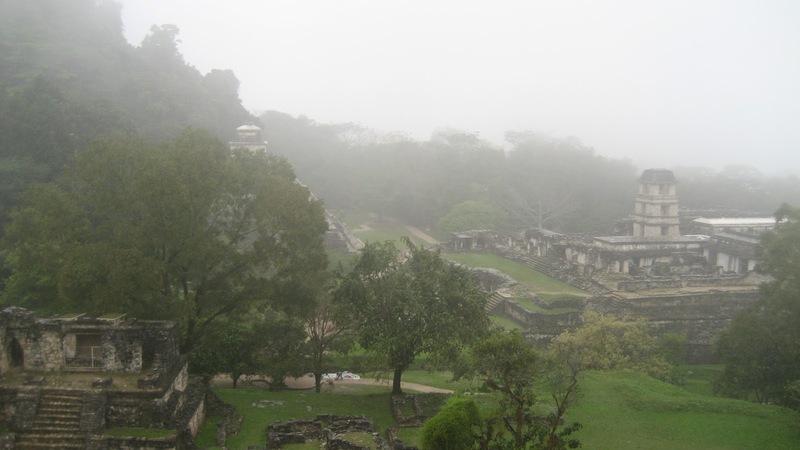 The major attraction in the jungle city of Palenque are the ruins just a few kilometers from the modern city center. The day of my visit was WET. It had rained all night and morning, but stopped at 2pm. With just enough of the afternoon remaining, I decided to take a break from cuddling with Tolkien and chance it at the ruins despite a still overcast sky. Just my luck, shortly after I entered the park the rain began again. At first only a light Seattle April drizzle, it soon escalated to November. Tour groups huddled under trees and temple edifices, but not me. Ready for days just like this, I had an orange emergency poncho all set to go in my pack. It didn’t fully alleviate but did keep me from being soggy and miserable as I explored. Always be prepared! Besides, I am doubly a Seattle baby and a water bearer (never really understood why Aquarius was an air sign…) so am well fortified for a rainy day. 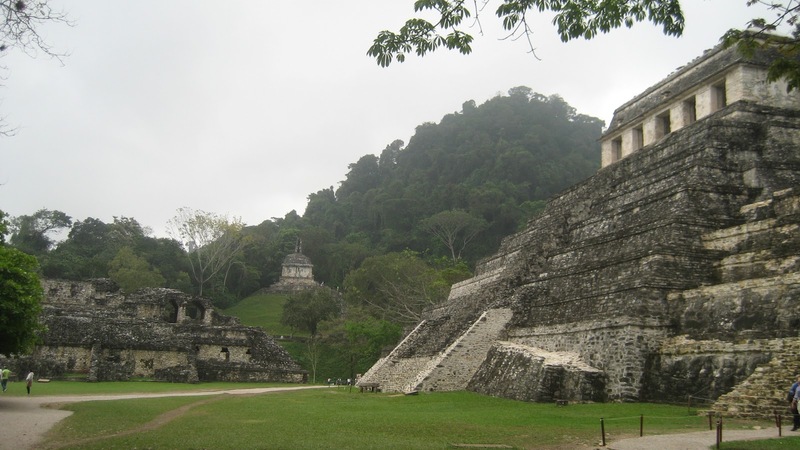 The Palenque ruins were the most interesting Mayan ruins I have yet to visit. The complex is large with a great variety of religious, political, and domestic buildings. Unlike Chichen Itza or Tulum, virtually every building invites guests to scramble up and take a peek inside. If you’re lucky, you will be treated to beautiful hieroglyphics and interesting relief imagery of stylized people, animals (especially jaguars, birds, and snakes), and gods. The mist and rain suits the jungle kingdom, lending mystery to the rise and fall of the buildings. In the center palace stands a rare tower in Mayan architecture; no one quite knows why it is there. The place has soul. I won’t go into too much detail here about the history because I know you are all smart enough to use wikipedia, but I will say that this is a fascinating site and one of the richest in telling us about early American life. (And there’s still lots more to be excavated; new discoveries continue to be made here.) 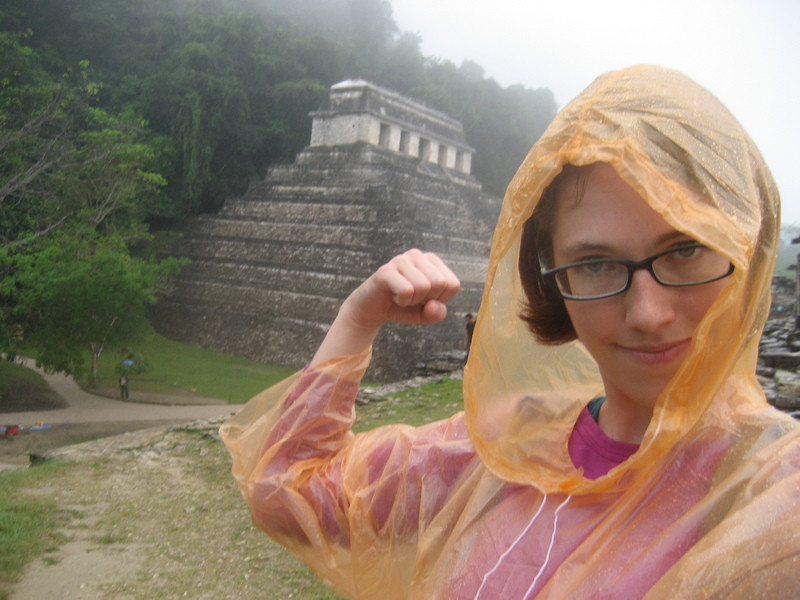 Plus it is in a lovely setting–the Mayans sure know how to pick ’em. View of the Palace from the Temple of the Cross. Recommendation to the traveler: Visit the small yet excellent museum FIRST. Especially if you do not opt for a tour guide. It is located 1.5km from the main entrance, is easy to miss, and has far more historical and anthropological information than you will find at the ruins themselves (the labeling on buildings is stale, archaeological, and lacks depth). Also inside the museum are beautiful and remarkably preserved relief carvings and artifacts from the site that you can see up close in good lighting. 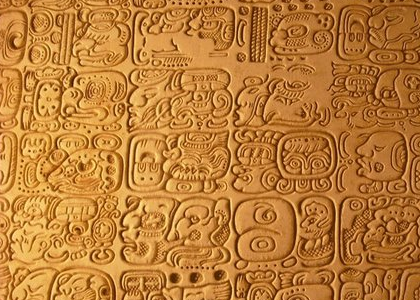 Here I learned about Mayan hieroglyphics, which are used all over the city, and look really cool! See all this first and you will be better prepped to get the most out of a walk through the ruins.